When I was younger, I could get really excited about a persons idea. I would jump into the project, full of energy. After a while my energy left, and I felt unmotivated. I did this over and over again, without understanding why I could feel so strongly about something, and then being so bored after a short while. I blamed it on my restlessness, my curiosity for new things, that I was easily bored. That was only a quarter of the truth. The real truth was that I was borrowing joy. Whenever I met someone that was very passionate and energetic about their idea or project, I borrowed that joy. I could feel their joy, and it felt so damn good. I suspect you have felt that too sometimes. A person that is so enthusiastic and joyful about something that you would like to start doing what that person is doing. Right away! It’s like that persons joy is injected right into your bloodstream. This is often what good motivational speakers are doing to their audience. They share their joy. Their passion. You start to burn with their passion. You feel like you can change the world. You want to start today. You are pure joy! It’s so addictive that you want more. So you go to more of these seminars, and you inject the speakers’ energy, joy and passion. According to some neuroscientists, this is our mirror neurons responding. When we see or feel an emotion within another person, we also experience the feeling. We simply mirror the feeling we meet, so when a person is sending out joy, that is what our neurons respond to. We get the feeling of joy. But the joy is only borrowed. And what is borrowed, we often return. After a couple of days, or weeks in best cases, the feeling is fading. The joy will fade away, when the other person isn’t putting their energy to the fire. Because the fire is not ours. Borrowed feelings are not enough fireworks to keep us burning. Instead, create your own fire. Your own joy. How do you do that? By finding your own happy road. What makes your fire burn. 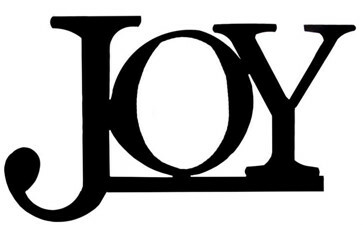 What creates JOY! My solution was doing the LifeSpider with Birgitta Granström and figuring out what my passion was. I also started telling people: “I have to sleep on it”. And then I waited, and waited, and waited… In the beginning it took me weeks and sometimes even a few months to figure out if the idea was in line with my passion. If the positive feeling was my own joy or just borrowed joy. After a year, I had developed my “joyskill” to work within a couple of days. Today, my “joyskill” is working perfect. It takes me from a few seconds up to a day, to know if the idea or project is creating real joy. My own joy!